Angel Di Maria could face a ban for his celebration against Manchester United. The Argentinian received a poisonous reception upon his first return to Manchester, with the Old Trafford crowd booing his each and every touch. The forward was also shoved into the stands by Ashley Young – a move which the Red Devils’ faithful enjoyed tremendously. However, the PSG superstar hit back expertly, as he was the provider of both the goals that the visitors scored on the night to take a 2-0 lead back to France. 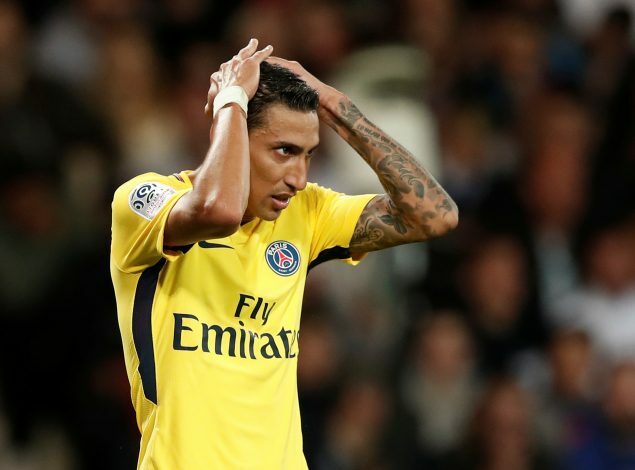 Apart from the assists, however, Di Maria also hit back verbally, as he was seen abusing the crowd present at the Theatre of Dreams after having set up Presnel Kimpembe from the corner kick. During the goal celebration, the 30-year-old turned to the home supporters and shouted (as per RMC Sport) ‘F*** off’ and ‘Hijo de p*** (son of a b****)’. As per the Article 15 of UEFA’s disciplinary regulations, Di Maria appears to have broken the clauses on ‘insult with regard to a player or another person present at the match’ and for ‘provocation of the spectators’. Therefore, his actions could see him suspended for one UCL match or more, resulting in his absence during the return leg, which will be played in Paris on March 6.